Intagent is Live Chat ready and all our sites have the added capability to turn on this feature in a click of a button. Live Chat System opens a direct line of communication with your online visitors. Adding live chat support is essential in providing timely answers rather than letting the customers click-away from your website. Real time chatting with a customer support expert not only builds customer’s confidence during their browsing experience, but also helps improve your conversion rates. We want to help you eliminate instances where potential clients bounce away from your website in favor of your competitor. 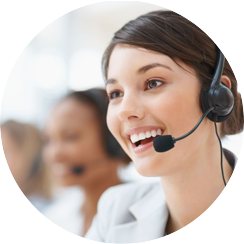 Our Live Chat System helps you stay ahead of the game by giving your prospects an immediate access to help and taking away their pain of having to call the 1-800 number with mazes of numeric options. While this increases your front end's productivity, this also helps you cut down the cost of having to hire more support staff. It can also lead to improving your sales number.